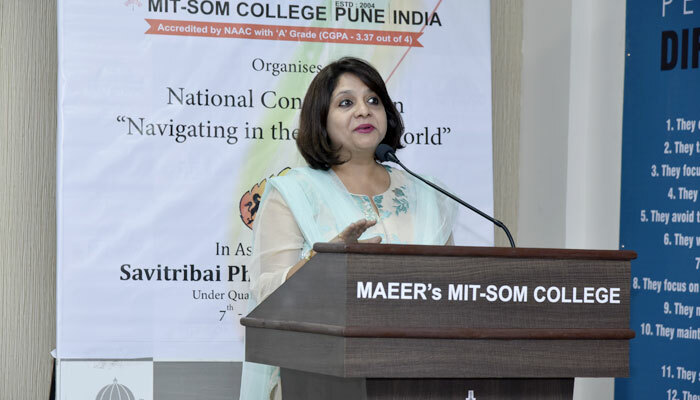 MITSOM College in association with Savitribai Phule Pune University organized National Conference on “Navigating in the VUCA World” from 7th to 9th February 2018. The conference was inaugurated by Dr. Ravindra Utgikar, Vice President, Corporate Strategy and Marketing, Praj Industries Ltd. It started with introduction of the theme followed by ‘World Peace prayer’. 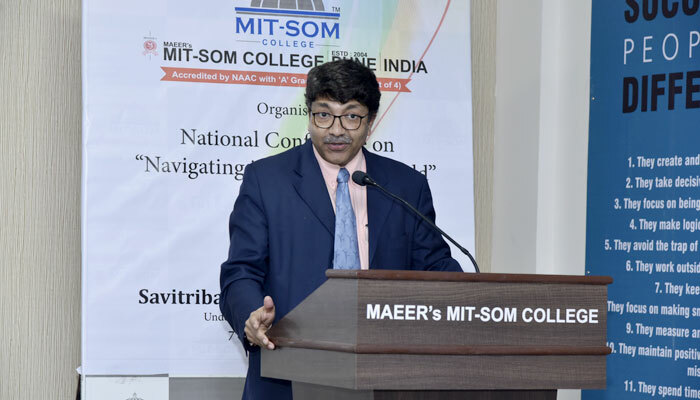 Welcome speech was delivered by Dr. R. M. Chitnis, Principal, MITSOM College. Prof. Sumita Joshi coordinated the conference. 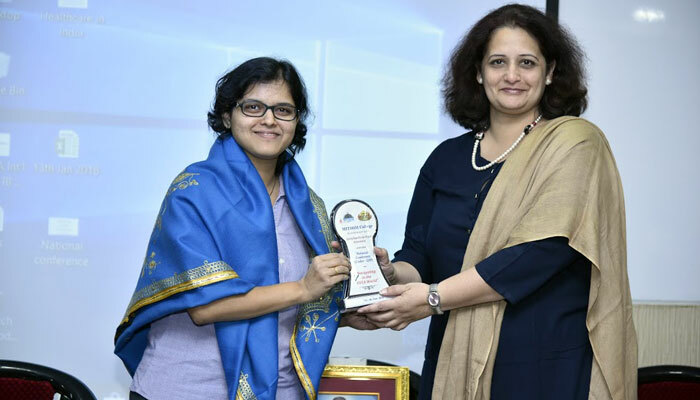 It witnessed the presence of Dr. Anjali Sane, Prof. Hemant Bhise, Prof. Vinaya Nimbolkar, Dr. Pratibha Upadhye , the teaching staff of MITSOM College along with industry stalwarts, academicians and students. After introduction and felicitation of the Chief guest, he addressed the gathering. 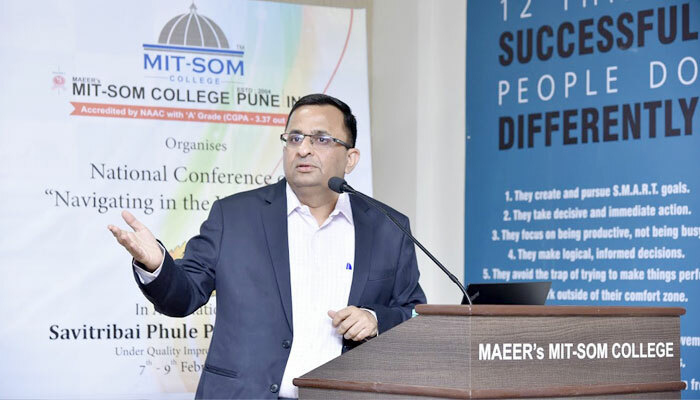 Providing an overview of Navigating in the VUCA world, Dr. Utgikar touched upon ‘International Marketing’ and various related aspects like Market intelligence, Inclusive business, Knowledge management, Diversification, Innovation and Value creation etc. Ms. Ruchika Singh, GM, Sales, West India, Jet Airways enlightened the audience on the ‘Global View of the Aviation Industry’. She also discussed the prospects and retrospects, her experience in the Jet Airways and informed students about Careers in Aviation Industry. Mrs. Rachana Ranade, C.A., in the session on ‘Risk Management and Insurance’ explained internal and external techniques of risk. 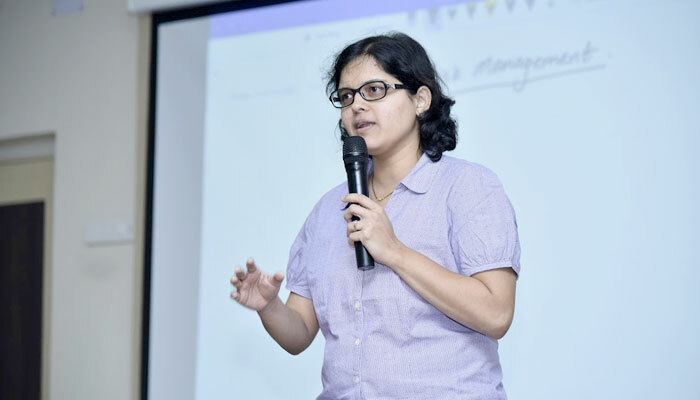 Dr. Priyadarshini Karve, Managing Director, Samuchit Enviro Tech, threw light on ‘Sustainable Business for sustainable future’. She said that Energy security has two approaches viz. renewable and nuclear. She also mentioned about Transition movement, the importance of Bio-mass energy and carbon footprint calculator. It was followed by the session on ‘Cyber Security’ by Adv. Shivangi Sinha. In the Paper presentation session, eight papers were presented. The paper presenters discussed about various VUCA related sub themes like Change Management, Integrated digital marketing, Spiritual management, role of statistical and comparative analysis, Positive Psychology etc. Mr. Devendra Dixit, Director HR for South Asia, Kemin Industries P. Ltd., Chennai drew attention on ‘Living and leading in the VUCA World.’ He gave various examples of ‘VUCA for everyone’. In the valedictory session, the Chief guest, Mr. Saurabh Shah, C.S., mentioned that Crisis Management in VUCA world is of utmost importance. He mentioned about many related concepts including systematic crisis and contextual crisis. The conference concluded with delivering the vote of thanks followed by Pasaydan.